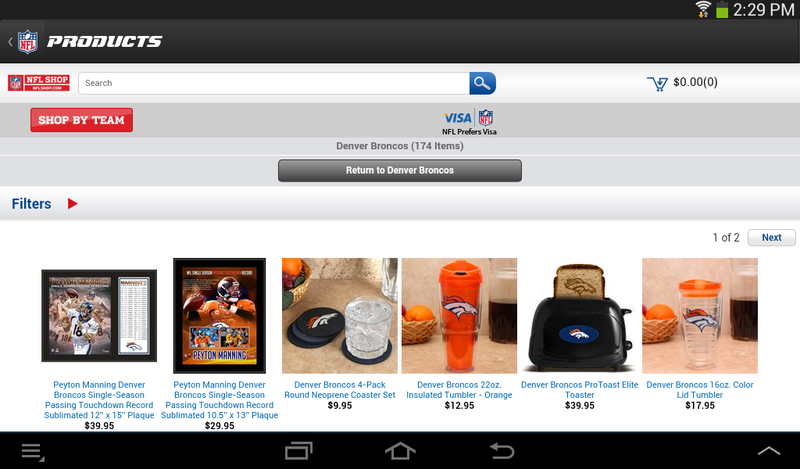 NFL Homegating allows fans to bring the spirit of the game home. Help celebrate your team surrounded by loved ones. 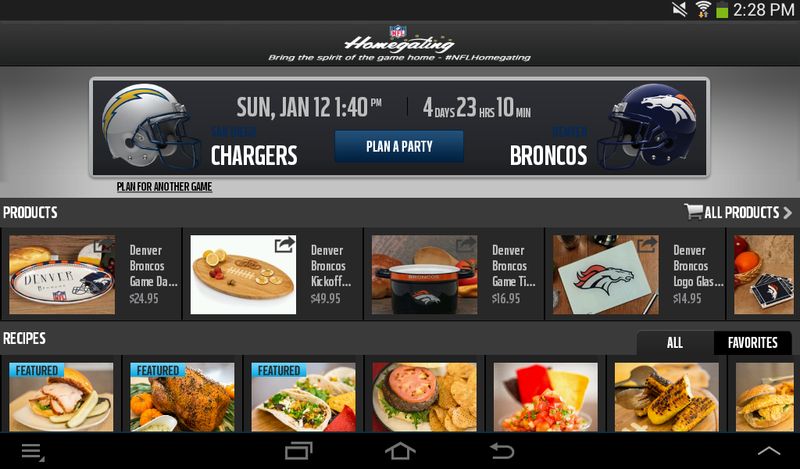 Homegating provides the perfect opportunity for you to bring together food, family, friends, and your favorite team! Select your team on the mobile app to see upcoming game, send party invitations, get tips on how to Homegate, view delicious recipes, share recipes and products through Facebook and Twitter, and learn fun party tips.